The protected motors and the open design render the cleaness of the straps and of the tapes very simple and sure, allowing, particularly in the alimentary or pharmaceutical lines, the maximum hygiene. The HSC350 “R” series chain checkweigher combines unrivalled sturdiness, high precision and a design created for use in extreme industrial environments. 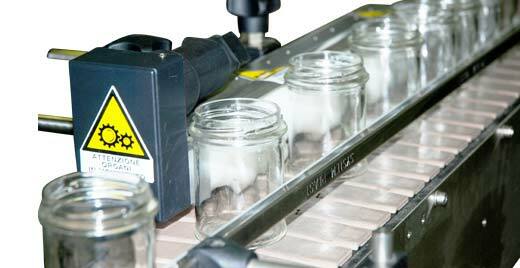 Created for use with boxes, cans and bottles in dry or wet environments, the “R” series checkweigher is sturdily built and features a chain conveyor mechanism that achieves the required degree of accuracy at high speed. 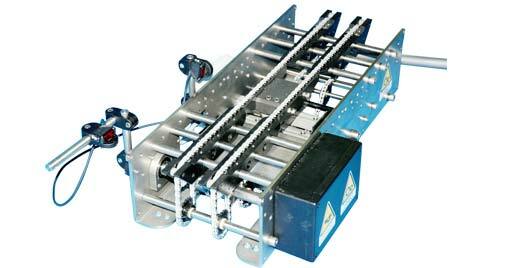 Available in numerous configuration, from 1 to 4 conveyors with width from 50 to 230 mm.